The Bladen County Commissioners approved a capital outlay request from the Bladen County Schools for equipment, computers and chairs to be utilized within the school system during their meeting on Monday night. Lou Nelon, Director of Maintenance and Facilities for Bladen County Schools, presented the items to the board. The capital outlay request totaled $127,691.14. The capital outlay items which are dated for the period from December 2018 through March 20, 2019 included: 50 guest chairs and one chair dolly for the administration building, five clear touch boards for Booker T. Washington School Education Resource Center, an ice maker for the administration building, remove and install a new mini spilt unit/condenser pump at West Bladen High School, remove and install a new bus lift at the bus garage, chrome books for elementary schools, 21 Dell laptops for nurses, counselors and ESL teachers, five Dell desktop computers for East Bladen and West Bladen high schools, install LED signs into existing signs at East Bladen and West Bladen high schools, furniture for Amy Stanley’s office at the administration building, installing new Niagra F WE 8000 Jace Controller to replace the existing R2 Jace Controller at Bladenboro Primary School, 75 folding chairs and one caddie for Booker T. Washington Education Resource Center, remove and install a 15-ton Carrier Condenser/Blower/Ductwork at Elizabethtown Primary School, 10 sixty inch round and 10 30-inch x 96-inch folding tables for Booker T. Washington Education Resource Center, and NC Department of Revenue Sales Tax accruals. Bladen County Commissioners Chairman Charles Ray Peterson asked Nelon about the items which are identified for the Booker T. Washington School Education Resource Center. 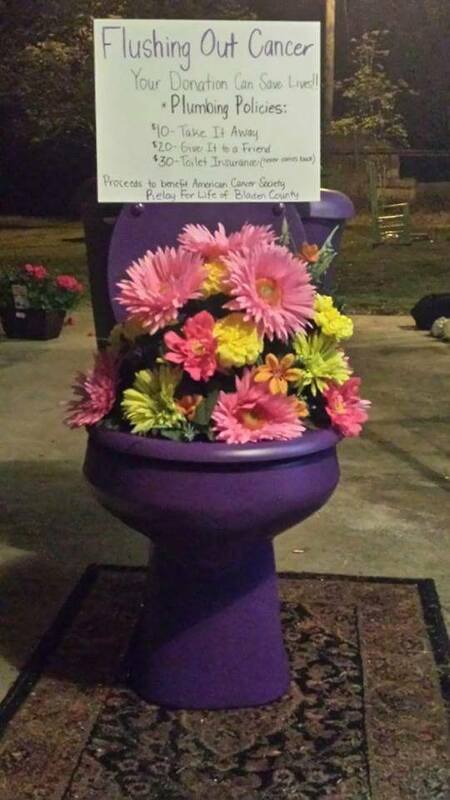 “The items are used at other places,” said Nelon. He added that items shown as Booker T. Washington are simply being stored at the school. Chairman Peterson noted that those items just stood out to him since the school district had closed the Booker T. Washington School. The board voted unanimously to approve the capital outlay request. In other business, the board presented two proclamations during the evening. The first proclamation was presented to Marjorie Lewis with Families First, Inc. and proclaims April as Sexual Assault Awareness Month. Lewis said that 720 white flags will be placed on the lawn of the Bladen County Courthouse. They represent the 720 cases of sexual assault that are reported each day throughout the United States. Lewis said that, in 2018, in Bladen County, 72 cases of sexual assault were reported. “Every 92 seconds, someone in America has been sexually assaulted,” said Lewis. Bladen County Commissioners Chairman Charles Ray Peterson thanked Lewis for her work with Families First, Inc. and educating the community regarding sexual assault and domestic violence. The second proclamation was presented to Jill Sampson and proclaims April as Child Abuse Awareness Month. Sampson thanked the Commissioners for the proclamation. 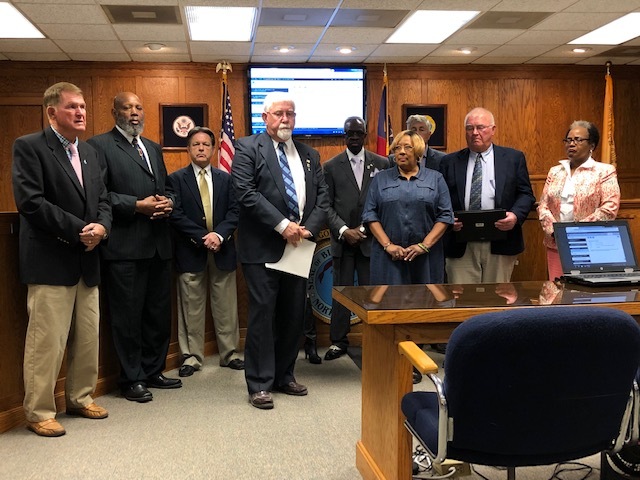 She also stated that Saturday, April 27th, from 11 a.m. until 2 p.m. there will be a child abuse awareness event conducted on the front lawn of the Bladen County Courthouse. A Child Abuse Awareness Walk will take pace beginning at 12 noon. The walk will begin at San Jose Restaurant in Elizabethtown, travel down West Broad Street, and end at the courthouse in Elizabethtown. 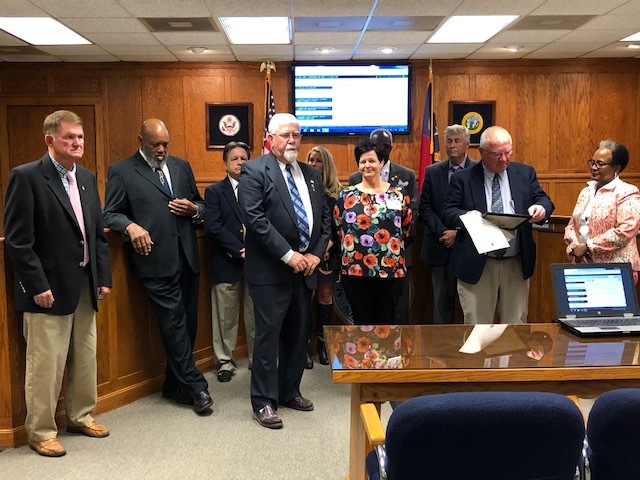 Bladen County Commissioners Chairman Charles Ray Peterson thanked Sampson for her work with Bladen County Department of Social Services and raising awareness of child abuse. *The Commissioners also appointed a Beaver Management Program Advisory Committee. They are tasked with reviewing the federal Beaver Bounty Program and bringing their recommendations back to the Commissioners. Appointed to serve on the board were E. W. Bowen, Dean Morris, Dan Ward, Commissioner David Gooden, and Steve Guyton. *The Commissioners voted unanimously to approve a memorandum of agreement in the amount of $35,000 with the North Carolina Department of Natural and Cultural Resources —State Library. 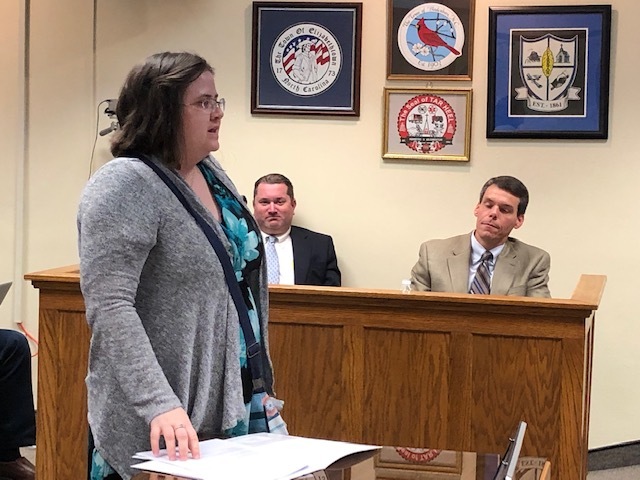 Kelsey Edwards, Bladen County Public Library Director, stated the funds will be used for the purchase of Chromebooks and hot spots. They will be allowed to be checked out of the library and to assist students who do not have internet access at home. *Commissioner Arthur Bullock spoke about a recent Municipal and County Association meeting he attended where broadband internet access for rural locations was a topic of discussion. 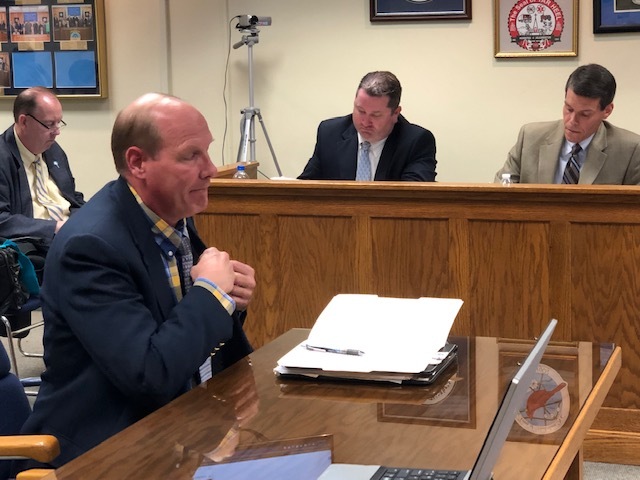 Commissioner Bullock said he learned at the meeting that Person County has found ways to provide broadband internet access to 90 percent of their county. 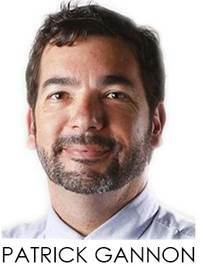 He suggested Bladen County staff study what Person County did to increase broadband access to determine if a similar program would be feasible in Bladen County. *The Commissioners voted unanimously to approve the sale of a one-half acre parcel of county-owned land in the amount of $3,100. Bladen County Tax Assessor/Tax Administrator Renee Davis told the board the property was foreclosed on in 2009 and the cost to the county was $3,100. The tax value of the land is $3,700. The board approved the sale. *The board amended the rules of procedure for the Bladen County County Commissioners to add language reflecting a recent change in the NC General Statutes regarding closed sessions in meetings. County and municipal governments are now allowed to meet in closed session to review a recording released pursuant to NC General Statute 132-1.4A. The vote to amend the board’s procedures was unanimous.